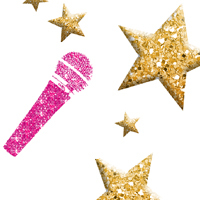 Do you have what it takes to be the next POP STAR?? ADWV thinks you do! And here is your chance to show us! Join us on a jazz funk frenzy through pop music and watch your dancer become the biggest pop star there ever was! If your dancer loves the music of artists like Lady Gaga, Pink, Katy Perry, or Christina Aguilera, this camp is for you! And of course, be ready to be wowed and entertained during the spectacular Pop Star Dance Battle at the conclusion of camp! Your Stars will not only dance and perform their way through the week, they will also get to make and design their very own costumes and props for the big show. Move over Britney Spears… Pop Stars are coming through!! !